Series three of The Fall has begun filming in Belfast, with Gillian Anderson and Jamie Dornan returning in the key roles as the BBC2 thriller reaches its ultimate conclusion. 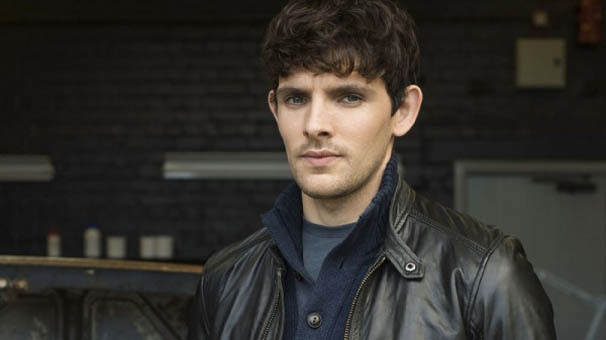 Colin Morgan (pictured) will once again feature as Detective Sergeant Tom Anderson, with The Fall regulars John Lynch, Valene Kane, Stuart Graham, Bronagh Waugh, Aisling Franciosi joining new cast members Krister Henriksson (Wallander), Aidan McArdle (Mr Selfridge), Ruth Bradley (Humans), Aisling Bea (Trollied) and Richard Coyle (Crossbones). At the climax of series two in 2014, audiences were left reeling as serial killer Paul Spector (Spector), injured in a devastating ambush, lay bleeding in the arms of Detective Superintendent Stella Gibson (Anderson). Moments before, she thought she had her man; now, shocked and desperate, she’s losing him. In the emotionally charged aftermath of the shooting, Gibson’s personal journey to exact justice for the victims’ families must begin with the blood-soaked fight to keep Spector alive. As The Fall reaches its conclusion, it’s clear that the rules of this deadly game of cat and mouse are set to shift once again. The Fall creator Allan Cubitt said: “I’ve been on a very exciting journey over the last five years with Stella Gibson and Paul Spector – the central characters of The Fall – and I’m thrilled to have recently started filming the third installment of their macabre, obsessive dance of death. Gillian and Jamie have lived and breathed those characters during that time and I’ve been incredibly well-served as both writer and director by their stellar performances. The five-part series is likely to return to BBC2 later in 2016.